Army troops have been deployed in Calgary and across Canada’s Alberta province as the government declares a state of emergency ordering 100,000 residents to evacuate. Authorities say 3 bodies have been found. The bodies have been discovered in a river but the officers have only recovered two as the last one lies in a dangerous to reach area. The identities of the victims have not been released. More people are presumed dead. Some 1200 troops were ordered to help with the emergency situation. Two civilian aircraft, a helicopter and a fixed wing airplane are being used for air support, according to local news stations. 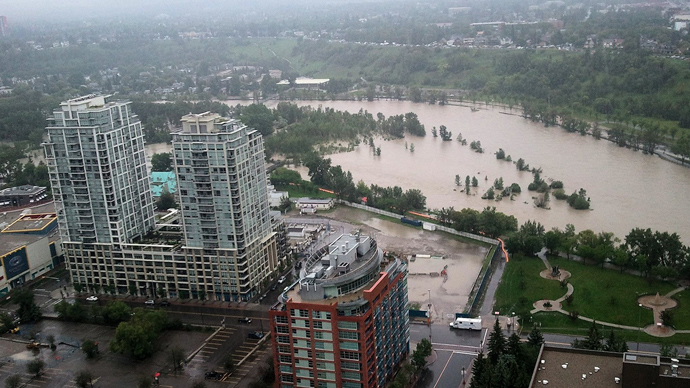 Almost ten percent of Calgary’s 1.1 million population were ordered to evacuate. The entire Calgary downtown core has been forced to relocate, an area where approximately 350,000 people work. Another twenty-five communities throughout the region are under an evacuation order. By midday on Friday, some neighborhoods could only be accessed by boat or a helicopter after more than 100 millimeters of rain fell in just two days, nearly half a year worth of precipitation for the region. The weather service expects rain to continue through Saturday. “The flooding situation is very acute in the foothills and the mountains,” said Chris Scott, director of meteorology at The Weather Network. 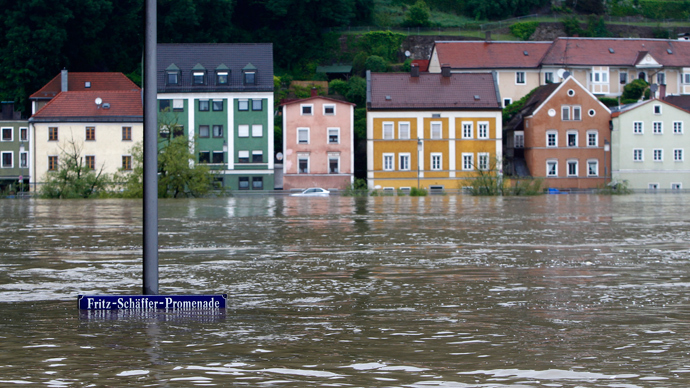 “This is an unprecedented flooding event,” he told Reuters. Local residents have set up a help center for those affected by flooding. An estimated 1,500 Calgarians applied for emergency shelter, while the majority of people are staying with relatives. 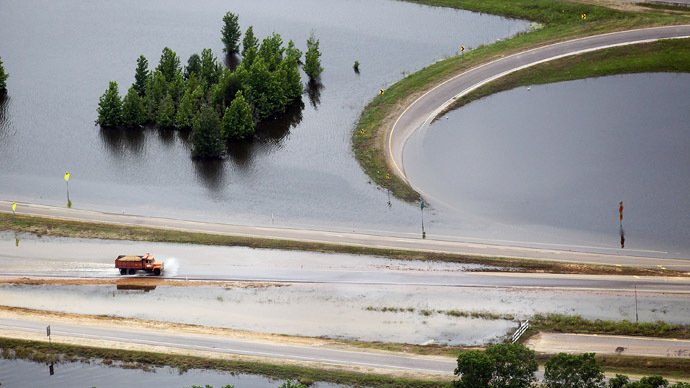 Prime Minister Stephen Harper flew to Alberta to see for himself the devastation wrought by the heavy flooding. He promised federal resources to with reconstruction effort. Some animals at Calgary’s zoo were also evacuated. Two zebras and two pot-bellied pigs have already been transferred in pairs. Other animals will remain inside the zoo but will be moved to higher ground. If the flooding worsens, then lions, tigers, and leopards could be moved to holding cells at the Calgary Court Center.